The ebullient comedy films of the 1930s brought escape and laughter to millions of British cinemagoers, enabling veteran stars of the music-hall and theatre to reach out to a wider audience making household names of performers like Leslie Fuller, Hal Gordon, Bobby Howes, Ernest Lotinga and Gene Gerrard. Although comedy would prove to be the decade's most successful film genre, many of these classic early talkies have remained unseen since their original release. 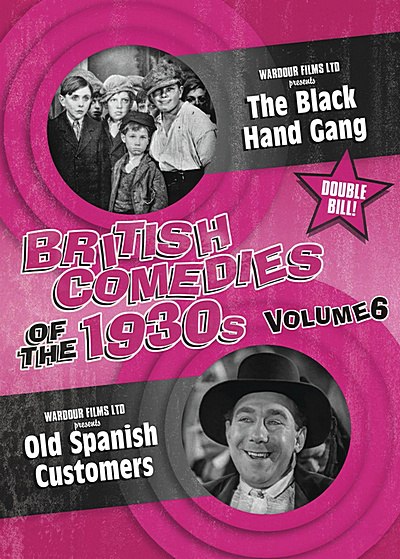 Directed by Lupino Lane (The Love Parade) and featuring the ever-popular pairing of Leslie Fuller (Boys Will Be Girls) and Hal Gordon (The Amazing Adventure), this riotous comedy charts the misadventures of Bill Smithers – a henpecked husband who goes on holiday to Spain but is forced to take the bull by the horns when he's mistaken for a famous toreador!